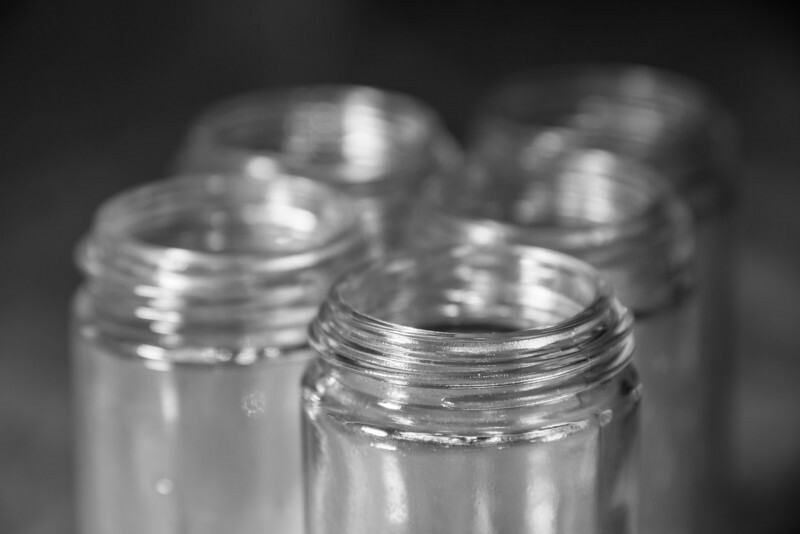 Five little glass jars. Yo. I love that you did this in B&W. Very cool, love the DOF! Nice use of a shallow DOF!